On May 8, authorities say that a child fell out of their car seat in a moving car on a road in Massachusetts. The child did not suffer from serious injuries. Police say that the 2-year-old opened the door of the vehicle and fell out as they were on a street in Northampton. 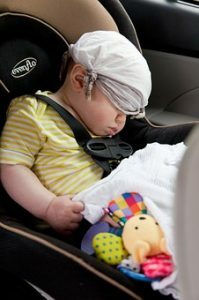 According to investigators, the car seat was not secured properly. The driver was cited for a minor violation. Criminal charges are still being considered but have not been filed at this time. If you or a loved one has been seriously injured in a car accident that was caused by someone else acting negligently, we want to help you recover the compensation and assistance you are owed. We want to fight for you, and we can help you with your personal injury claim.